When I was growing up, I don’t ever remember celebrating Pi Day except during my high school Geometry class. And I certainly didn’t know anything about the number pi when I was in elementary school! 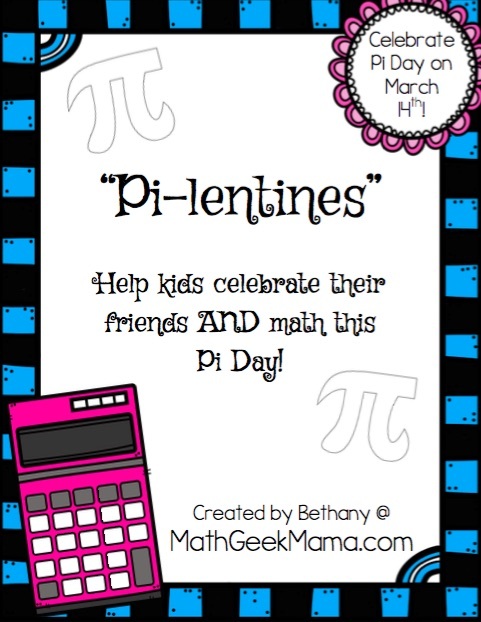 So I’m excited to see that things are shifting, and even young kids can get excited, not just celebrating Pi Day and eating pie, but excited to learn about math. There’s really nothing special about the day: March 14th. But there is something wonderful about igniting a passion and enthusiasm for math in boys and girls at a young age. 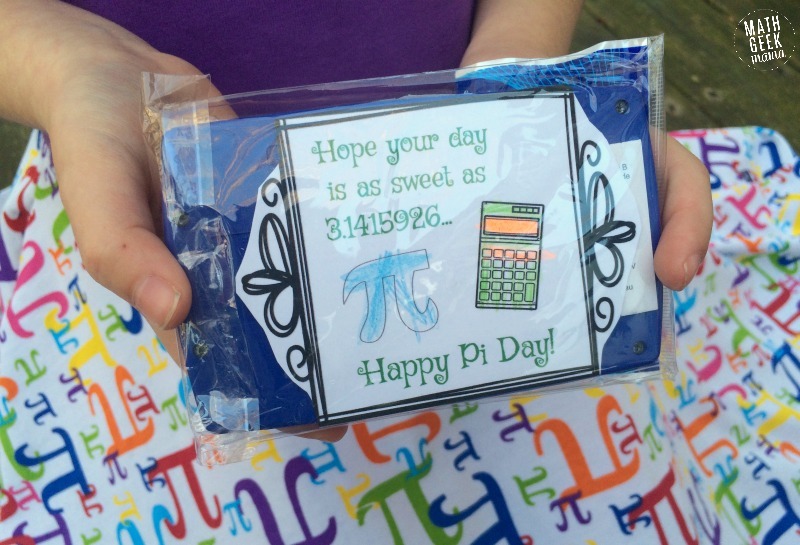 So I hope this Pi Day craft gives you and your kids a springboard for math conversation, and a chance to share the joy of math with other kids. 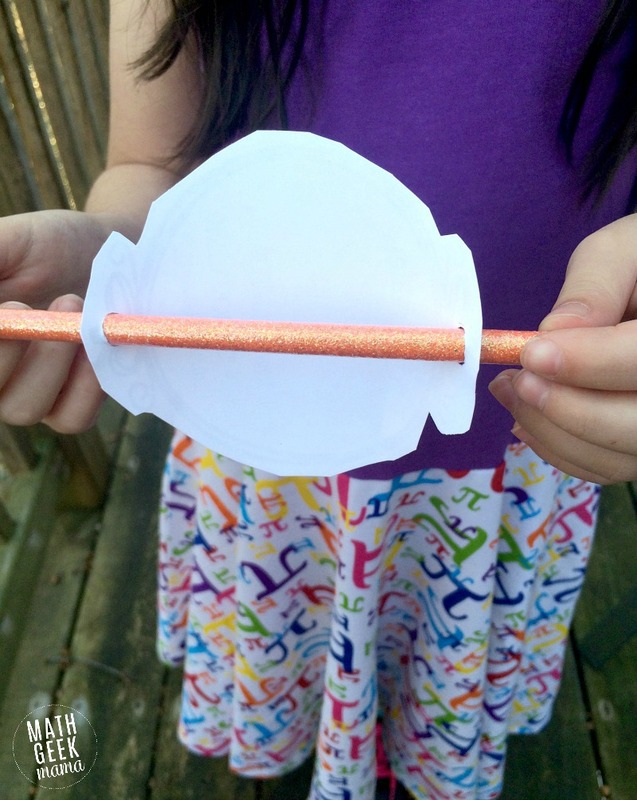 These cards are very easy to assemble, because I am all about easy! To get started, print out the cards of your choice. 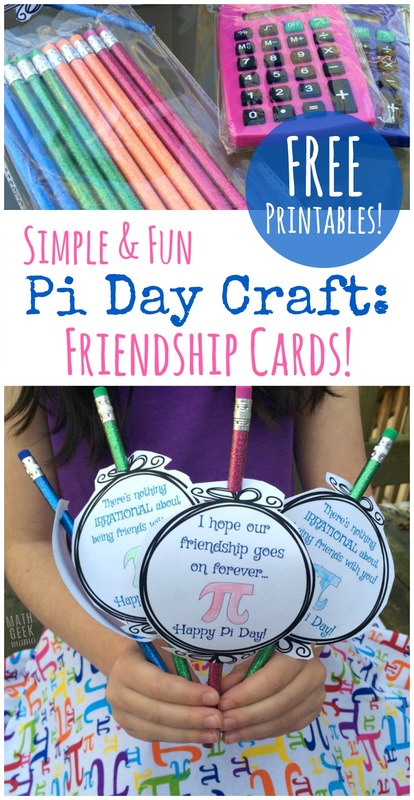 The Pi Day craft download below includes a variety of options. Three options are designed to fit over a pencil. Then there are two rectangular options that can be printed to simply hand out (without a gift) or included with a small calculator. I found these calculators at the dollar store, and they seem to be the perfect size for kids, in fun colors. Obviously if your kids have a large class, you may not want to purchase a calculator for all of them. But if they’re only going to pass out cards to a couple of friends, they might like their very own calculator. 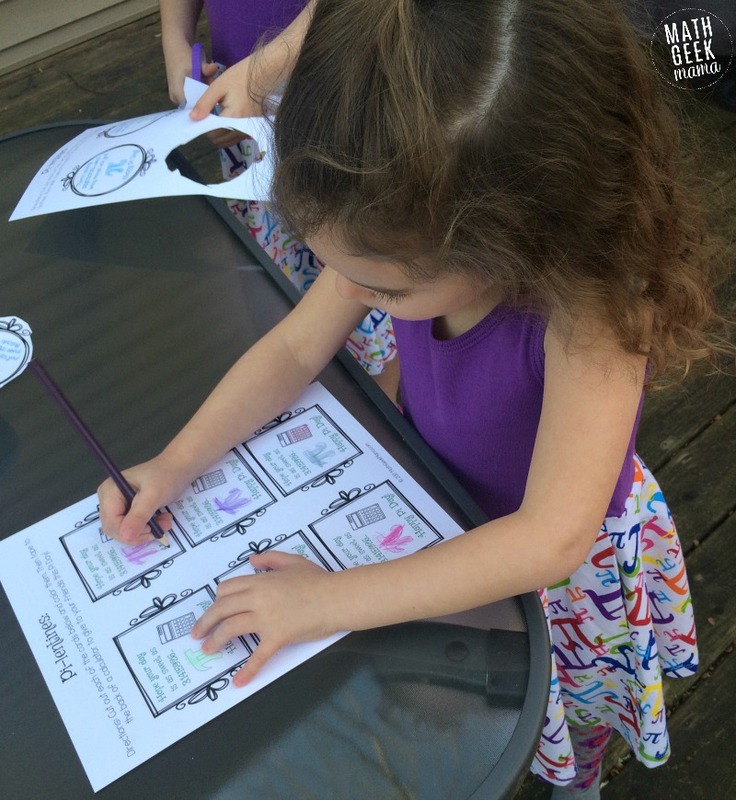 I printed our cards on white card stock because my kids love to color. So they were able to spend time decorating them and making each card their own before we attached it to the pencil. 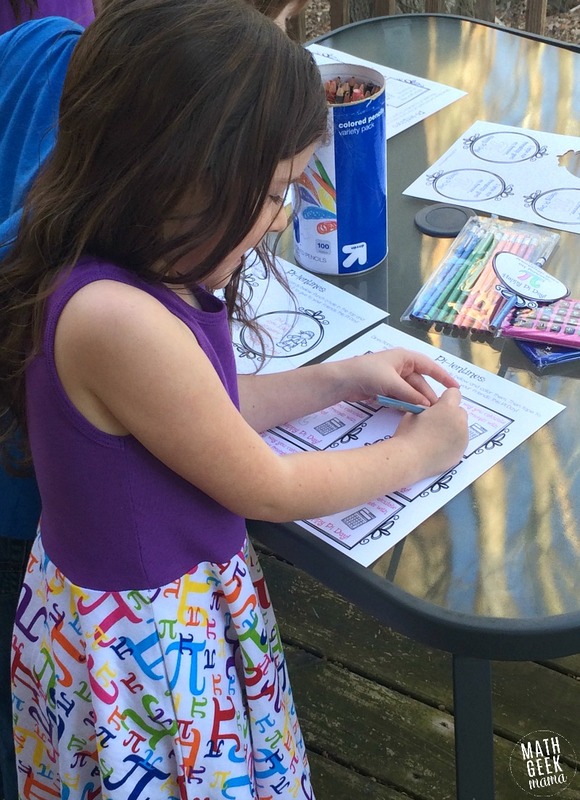 If your kids aren’t interested in coloring them, you can print on colored card stock. After printing out your card choices, cut them out around the edges. The top and bottom are what you’ll use to slide the pencil through. Using a single hole punch, punch a hole in the top and bottom. Depending on the size of your pencil, you may need to punch twice to make a slightly larger hole. My first punch did not create a big enough hole for the pencil to go through. Just be careful that you don’t make it too big. This could cause the pencil to fall out, or the card to rip. 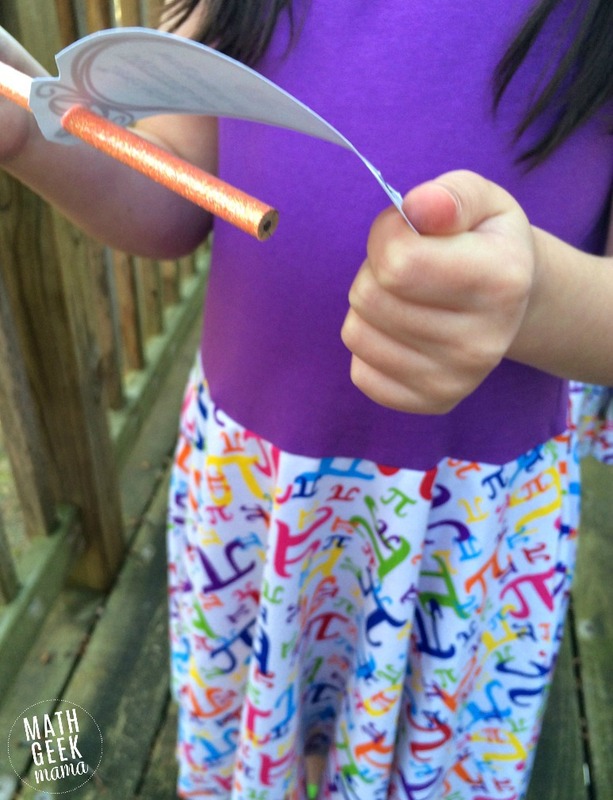 Once it’s colored, cut out, and hole punched, simply slide the pencil through and it’s ready to share with friends! Or if you’d like to use the rectangular cards, simply cut them out and color, then hand them out. Or attach them to a calculator to give out to friends. I could easily open and then reseal my calculators, so I simply slid the card inside, then sealed it back up. 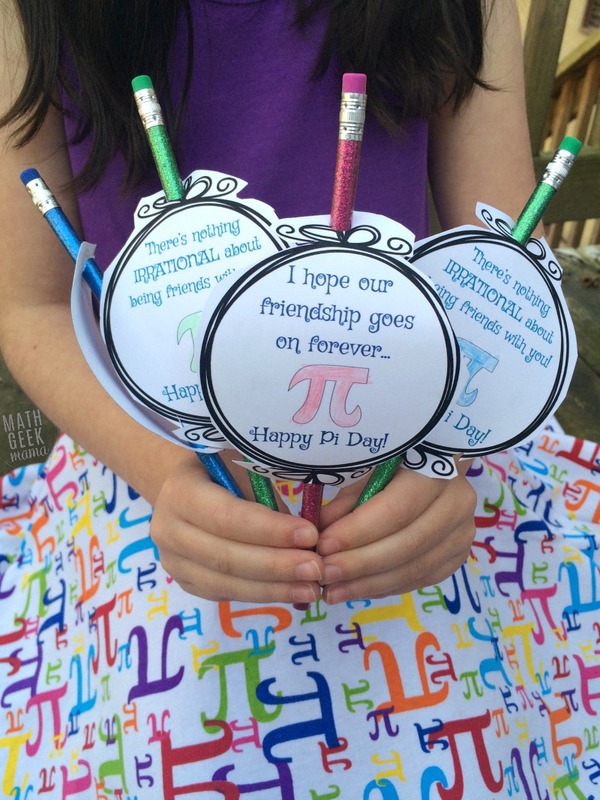 I created this Pi Day craft in collaboration with Princess Awesome. If you’re unfamiliar, they’re a girls clothing company that celebrates girls’ interests in girly, twirly dresses and math and rocket ships. “It is crucial that girls have access to clothes that tell them that they can be and do anything. If you’ve ever met a little girl, you know they already know this is true. They encourage young girls to be anything they want to be, so I’m excited to share their “Pi in the Sky” dresses. My girls are in love with these comfortable play dresses. 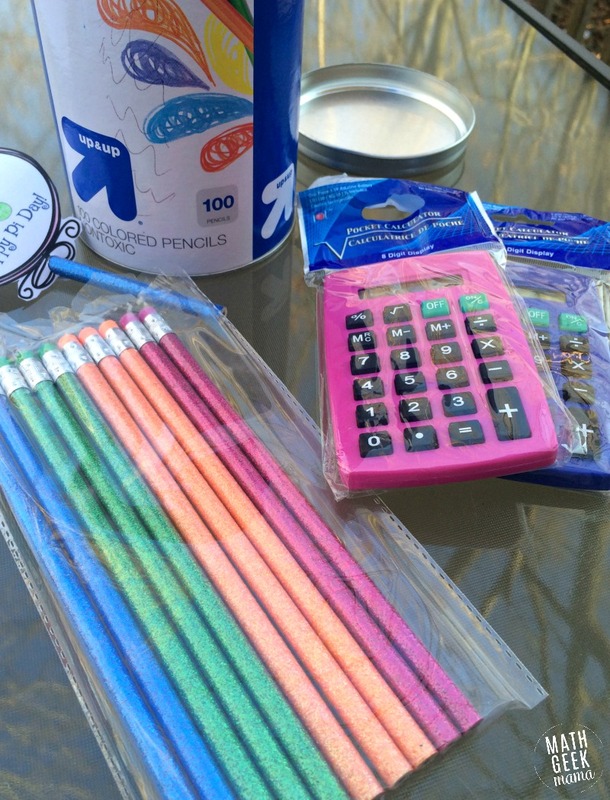 Plus, it has allowed us to talk about math in our everyday conversations. If you have a little girl who would love to show off this perfect Pi Day dress, be sure to check them out!